Item # 144047 Stash Points: 6,495 (?) This is the number of points you get in The Zumiez Stash for purchasing this item. Stash points are redeemable for exclusive rewards only available to Zumiez Stash members. To redeem your points check out the rewards catalog on thestash.zumiez.com. 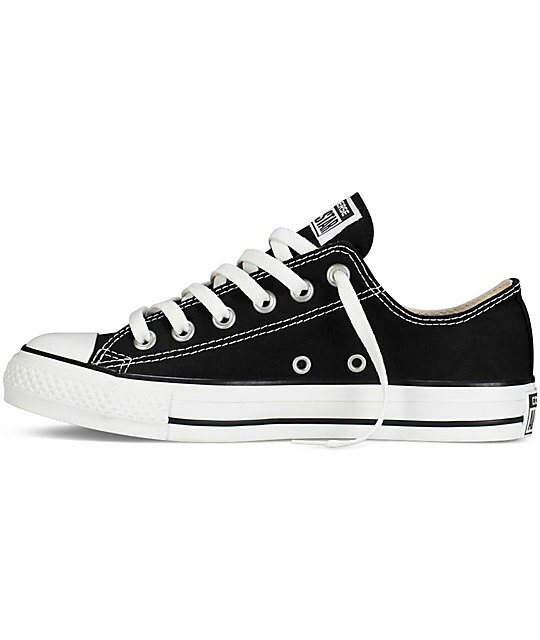 The CTAS Ox shoes in black from Converse offer timeless style with a low top silhouette and a lightweight design. 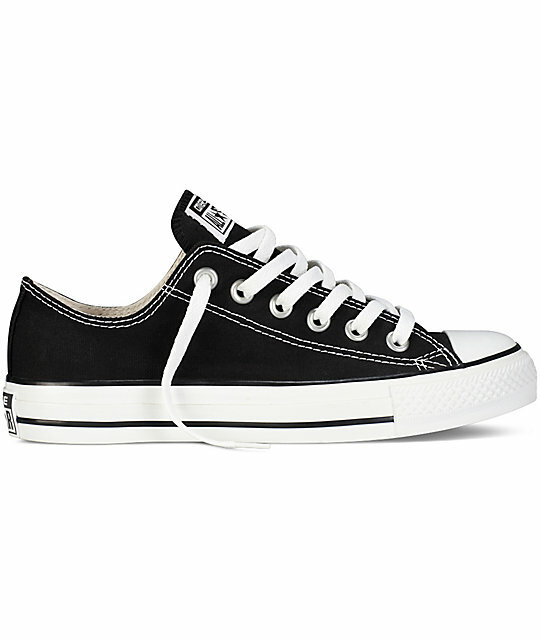 These shoes are crafted with a lightweight and flexible canvas upper in black that is contrasted by a white rubber toe cap, laces and Converse logo detailing. Additional features of these shoes include a low cut profile for natural range of motion, a Vulcanized rubber outsole with custom CONS tread for grip and metal eyelets at the sides for drainage and ventilation. 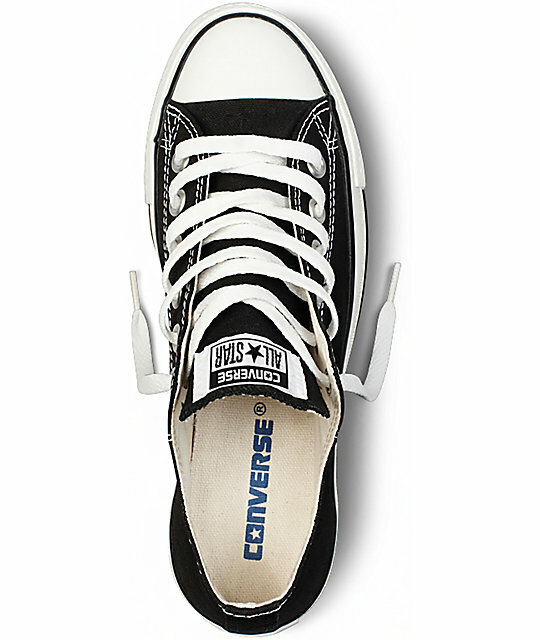 CTAS Ox shoes by Converse. Note: Sizes shown are in Men's. Low-top silhouette for range of motion. 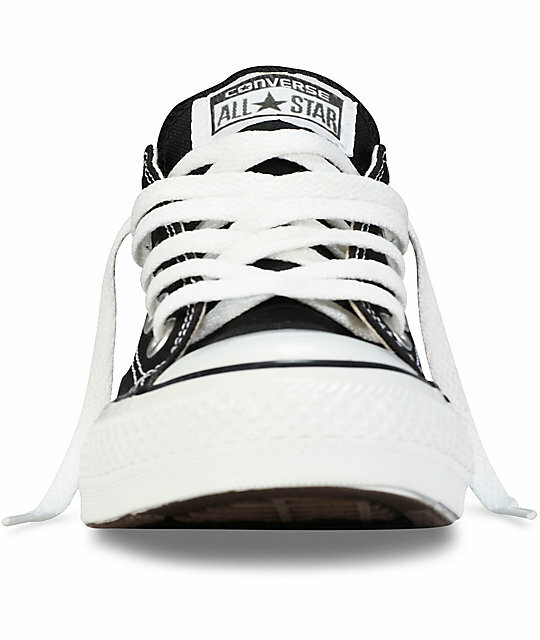 Lightweight canvas upper with contrast rubber toe cap. Gum rubber outsole with CONS tread pattern for grip and control.